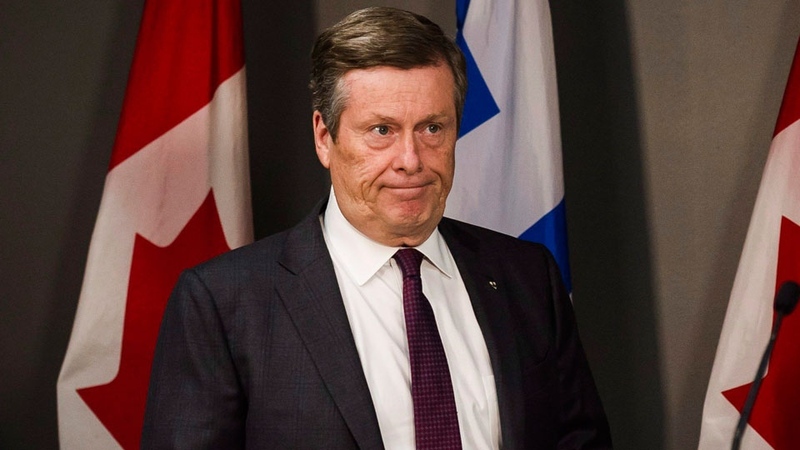 Toronto city council will legally challenge the province’s decision to slash the number of city councillors nearly in half. Council voted 27-15 on Monday evening, during a special meeting at city hall, to fight provincial legislation that will reduce the number of councillors from the planned 47 to just 25. Councillors voted after reviewing a confidential report from the city solicitor’s office regarding Bill 5, The Better Local Government Act. Tory said the matter will go to the superior court on Aug. 31. Prior to the vote being held, Mayor John Tory said the "rapid introduction" of the legislation has put many people in a "complex and unprecedented situation." "The process by which this monumental change was made was wrong and is unacceptable," Tory said. In a statement released Monday morning, Tory said he plans to stand up for Torontonians and fight the bill. “We take the representation of Toronto citizens seriously," Tory’s statement read. "We take the governance of this city seriously. 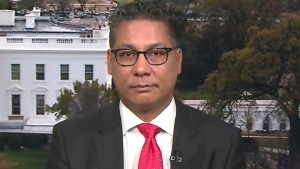 And while we, as a municipality, must always acknowledge that we exist and operate within the context of a Canadian constitution, it is our duty to represent the people of Toronto and the best interests of this city at all times – and to make our position clear when we do not believe the actions of other levels of government are in our city’s best interest." “The premier and the province have the authority to decide for this city council, in terms of how we operate. When I look at the regulations… that relationship between the province and the city, it does allow for the premier and the legislature to make directions with respect to how we operate here,” Thompson said ahead of the vote. Another opposing councillor, Giorgio Mammoliti, said tax dollars are being wasted on debating this issue. Premier Doug Ford contends that reducing the size of council will make the city run more efficiently, ending unnecessarily lengthy debates at city hall. The province has also suggested that the move will save the city $25 million. But opponents of the bill have charged that changing the rules in the middle of a municipal election is undemocratic. Critics have also slammed Ford for making the decision without any formal public consultation. Ontario NDP Leader Andrea Horwath previously accused Ford of using the bill to settle political scores. Ford defended the bill while speaking at the annual conference for the Association of Municipalities of Ontario (AMO) in Ottawa on Monday. “The feedback we are getting from people on this move has been overwhelmingly positive,” he said. Ford went on to say that he has no immediate plans to introduce similar legislation elsewhere in Ontario. The Toronto municipal election is scheduled to take place on Oct. 22. City council also passed a motion that asks the city solicitor and the city clerk to seek postponement of the election if deemed necessary. Mayoral candidate and former chief city planner Jennifer Keesmaat used the meeting at city hall as an opportunity to criticize Tory’s response to the bill. “Only Jennifer Keesmaat would use today’s important City Council debate as an opportunity to attack Mayor John Tory,” the statement read. 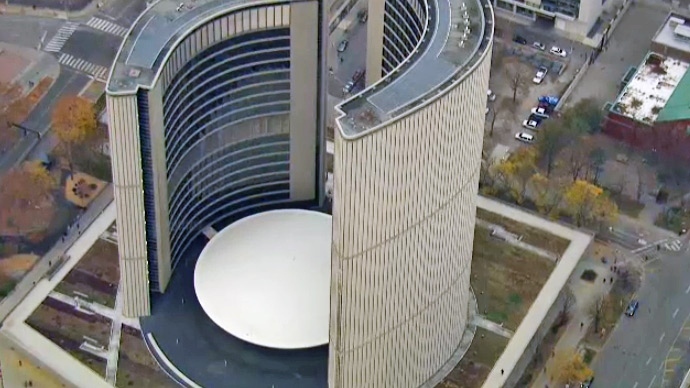 Toronto City Hall is seen from the CTV News chopper on Tuesday, Nov. 10, 2015.